Consider these marketing terms: artisan, craft, curation, custom and designer. They may reflect the higher quality they promise in the merchandise, at a premium price. But be aware, they may simply reflect the premium price: Products with these monickers aren't always "all that and a bag of (artisanal) chips." Originally, artisan -- or the more fashionably pretentious artisanal -- respectively described a worker in the field of art and products created from scratch, by hand, in small quantities or by traditional methods. The New York Times suggested retiring this overused term. Certainly artisanal/artisan can describe a superior food made by a small farmer that may be worth the extra shekels. However, an artisan soup manufactured by a major company like General Mills' (GIS) Progresso -- which retails for $3 to $4 for 12 ounces -- is stretching the term. Of course, Whole Foods Market (WFM) is the temple of artisanal food and has the prices to justify it. But large chains like Kroger (KR) and Safeway offer many lines of "artisan" foods, including in-store bakery breads. Craft is commonly denotes attention to traditional, small-batch manufacturing, but it can be a weasel word to raise prices on all sorts of products. Craft beer is an easily understood case. Kudos to Boston Beer Brewing (SAM), whose Samuel Adams beers resurrected the craft beer industry in America. But big-boy brewers like Anheuser-Busch ImBev (BUD) have introduced craft brews and are buying up small craft brewers. The definition of craft has been debated in Congress for favorable tax treatment. Craft brewers want to make it official that a craft brewer is defined as one producing 6 million or fewer barrels a year. 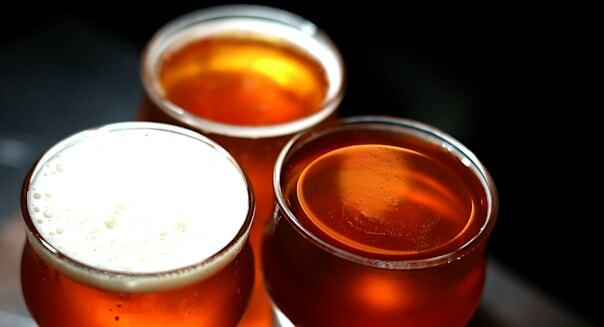 That said, craft beers -- or "premium" beers, as they are known in the industry -- can taste better than canned mainstream beers and may be worth the extra dollars. Curation has gained great popularity among retailers. It refers to a collection, ideally chosen with great care by a judicious buyer with taste. Curation particularly appeals to those lacking confidence in their own design prowess. Restoration Hardware (RH), the home goods retailer, is a great example. Past earnings calls could inspire a drinking game for how often "curation" is uttered. To be fair, consumers seem to like the concept, and the formerly ailing company has had increasing sales over the last few years. "At its best, curation offers more than the products consumers already want," according to gcimagazine.com, a retail industry site. "It offers them products that they should want." Curation is now morphing into a social media trend as retailers use what's trending on Facebook to edit their collections. This further dilutes the traditional meaning of experts' careful choices into a crowdsourcing mode and should make you even warier of "curation." Custom houses, custom cabinets, options on cars -- everyone knows these terms will cost you. But there is a new retail trend to customizing. Nike (NKE), Uggs from Deckers Outdoor (DECK) and Vans, a unit of VF (VFC), all offer options to personalize your shoes. %VIRTUAL-article-sponsoredlinks%Taking a page from automakers' and homebuilders' playbooks, apparel companies are boosting profits by letting you customize. "I think the next trend ... is to have users really express, offer, and market their own content, their own persona, their identity," billionaire investor John Doerr said in seeing the future of his company, Zazzle, a cutomizing website. "Apparel is a way we express our identity." The status of a recognizable designer name can mean a 400 percent markup or more. A good example is designer eyeglasses. These can cost much more than $100 because these designer names on the earpieces (and who can really see them?) are licensed by eyewear monopoly Luxottica (LUX). Warby Parker, a small online company, is tilting at this enormous windmill with glasses $100 and under, as are Walmart (WMT) and Costco (COST). Designer fashion, especially accessories like handbags, do offer higher-quality construction. Some brands, like Hermes and Chanel, are so revered that they can even be investment pieces that can be resold to collectors. There is also the danger of paying up for counterfeits. Buying known fakes makes you more prone to cheat in other parts of your life, an effect dramatically studied in an experiment by Harvard Business School and Duke University. Not only were women who were knowingly wearing fake designer sunglasses more likely to cheat than those sporting the real thing, but researchers also found them more prone to believe in others' immorality.